Product prices and availability are accurate as of 2019-04-10 12:13:40 EDT and are subject to change. Any price and availability information displayed on http://www.amazon.com/ at the time of purchase will apply to the purchase of this product. 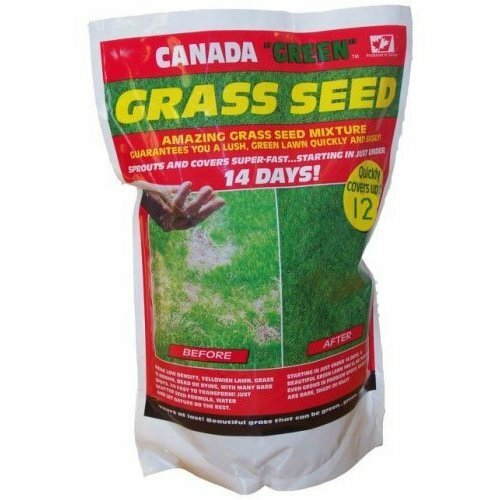 Canada 'Green' amazing grass seed mixture sprouts and covers super-fast - in just 14 days! Guarantees you a lush, green lawn quickly and easily! 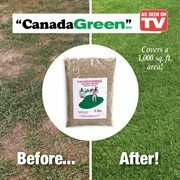 The incredibly hardy grass mixture that's proven itself on golf courses throughout the U.S.A. and Canada is now available to you, and it grows so quickly and easily! 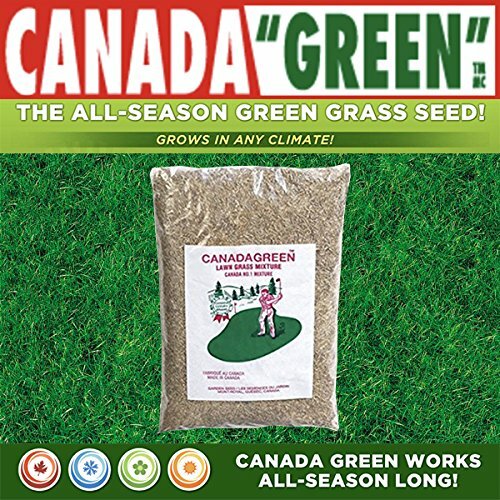 Just scatter seed for a picture-perfect lawn starting in only 14 days Developed in Canada where temperature ranges from 40o below to 100oF So hardy, it even stays green through foot traffic, drought, heat, freezing cold, even under heavy snow! Saves you work by crowding out weeds Growing Instructions Cultivate the soil to a depth of 3 to 4 inches (7.6cm to 10cm) A soft, moist soil with a warm environment is best for seed growing. Rake the soil, break up all clods and remove the debris and rocks. Broadcast seed mixture uniformly. If using a spreader set at indicated dial on chart. Lightly rake seeds to make sure seeds reach into the soil to a depth of 1/4 inch (0.64cm). Water thoroughly with light spray frequently. Soil must be kept moist until the new lawn is well rooted. Don't wash seeds away. 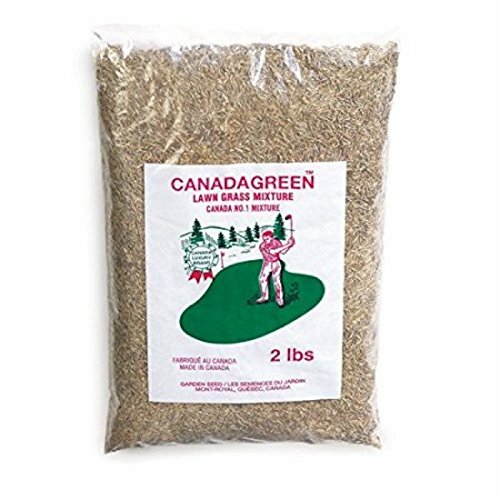 Do not mow lawn until grass reaches 3 inches (7.6cm) in height Canada Green Comes in different size bags. You will get a total of 12 lbs of Canada Green Grass Seed in our Sealed Bags in Shipper Boxes. Just scatter seed for a picture-perfect lawn starting in only 14 days Developed in Canada where temperature ranges from 40 degrees below to 100 degrees Saves you work by crowding out weeds So hardy, it even stays green through foot traffic, drought, heat, freezing cold, even under heavy snow!